To the everyday consumer, Marlborough Sauvignon Blanc has been a staple in most households… and rightly so! However, there is so much more to discover from this country and we, as a wine trade, have a responsibility to encourage our customers to be adventurous and try these beauties. Wineservice learnt more about the grapes, regions and producers at New Zealand House in early May…. 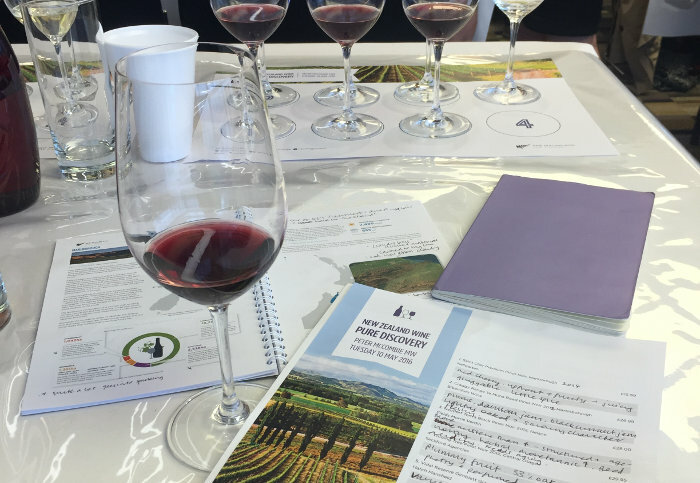 Last week, New Zealand Winegrowers held an intensive tutorial lead by Peter McCombie MW on New Zealand wine. As importers of these wines, we were invited to this educational session. It was an extremely informative morning led with great professionalism and subject-matter knowledge. New Zealand’s wine producing history extends back to the founding of the nation in the 1800s. But it wasn’t until the introduction to Marlborough’s astonishing Sauvignon Blanc in the 1980s that saw New Zealand wine explode onto the international scene. And while Marlborough retains its status as one of the world’s foremost wine producing regions, the quality of wines from elsewhere in the country has also garnered international acclaim. New Zealand has an unwavering commitment to quality over quantity and this harnesses the country as a premium producer. This commitment is evident from vineyard to the winery; along with sustainability leadership, New Zealand continues to pioneer advances such as canopy management, stainless steel fermentation techniques and screwcaps.